After more than two and a half years and 30,000 miles of Versa ownership, I was happy to see that the rest of the world is recognizing this superb car. I’m referring to June 2010 sales of new cars in the sub-compact / small hatch category. 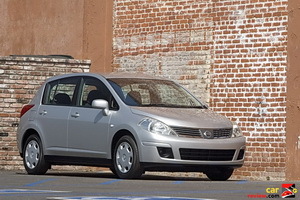 Versa was at the top of the list, outselling Kia Soul (2nd), Chevrolet HHR and Aveo, also Dodge Caliber, Hyundai Accent, Mini, Honda Fit, Toyota Yaris and Scion xD. Mine arrived in March, 2008. It’s the base hatchback, 1.8 with four speed auto trans. It cost $13000 on-the-road, less than its principal competitors. But it’s a lot more car, combining the virtues of French car comfort, Nissan bulletproof-ness and quality construction/finish, and a low price due to its Mexican origin. You may be surprised at the reference to the French, but for years the various Renaults, Peugeots and Citroën have had a unique combination of broad seats, commodious interiors and supple, controlled suspensions unlike the cars from any other country. Their failing has often been a certain fragility and indifferent finish. 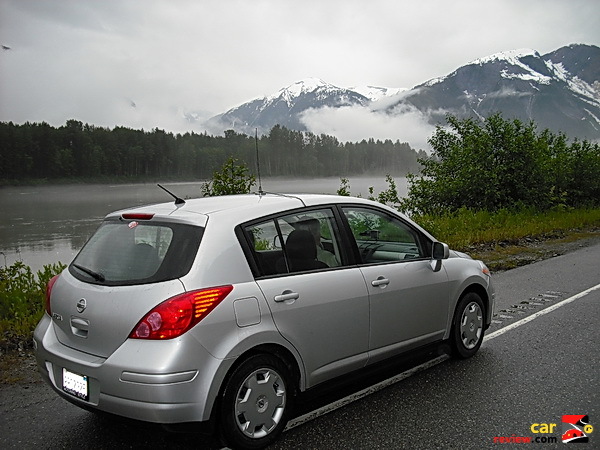 The Nissan Versa, related to the Renault Megane thru the Nissan-Renault alliance, gets those good French qualities, while stepping up to Nissan quality standards. What you don’t get for the bargain price is style. This is a bland car, but at least everyone knows you’re not trying to impress them. But the car impresses its owner every day with it refinement, ease of operation, and effortless performance. The best test was a 4200 mile trip from San Francisco up into remote Alberta and British Columbia. On the traffic-free roads, it was happy to run endlessly at 100 mph, at a relaxed 4000 rpm. In mountainous country, the ample power, and a lo-o-ong third gear made rapid progress good fun. In fact, at full throttle, the 3-4 upshift only occurs at an indicated 101 mph. Maximum speed is very near 120 mph, with low, almost Audi-like wind noise. So in a class of cars often regarded as around-town runabouts, this Versa can tackle the open road with the best, while respecting your pocketbook. 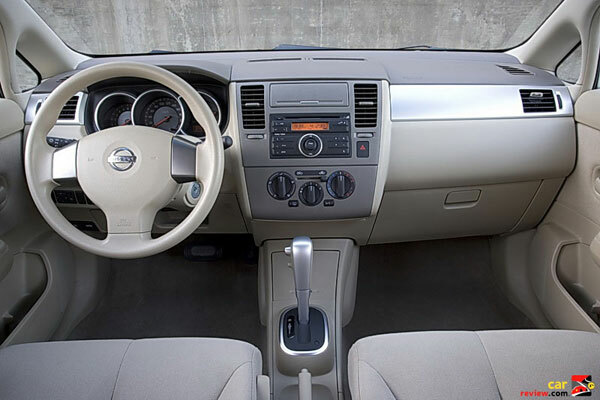 A huge thank-you to Martin Swig for contributing his review of the Nissan Versa. Martin Swig has his own column in the San Francisco Nob Hill Gazette called “Wheels” and writes articles for the Southern California Automotive Calendar of Events magazine. Martin also presents the internationally-celebrated California Mille and other historic car events.